We love the work in this issue and want to get it into your hands (and heart). So for the month of October, we’ve cut the price to just $8.50. 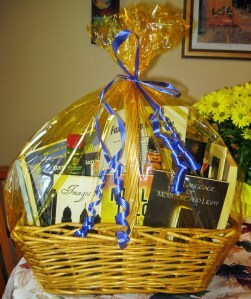 We are pleased that through donations of books by poets and writers we were able to donate a gift basket to Cara’s Sweethearts for the October 18th fundraiser. We also added a bottle Old Grand-Dad, E&J Brandy and Clan MacGregor Scotch to the basket for the winner to enjoy while reading these outstanding books. Cara’s Sweethearts is an organization that does the right thing by children and their families during their stay at Children’s Hospital in Philadelphia. There is a link to their website at the bottom of this post under the flyer for the fundraiser. We wish them the best. When we issued the call for this themed issue, we had a set of ideas for what the burden of home might be. It is too easy to say home is not a dot on a map, attached less to geography and linked more to experience, love, loss, and the heart. The burdens of home have little to do with where we hang our hats. In most cases, the hat-hook has either rusted away or been torn from the figurative walls. So what is it, this burden? The contributors interrogate the idea of home and its burdens on the road, in returns, in leavings, in loss, in reconnection, in knowing theirs could be the next bus out, in leaping into the rivers of their fear, even in setting fire to what is left. We love every piece in this issue. We know you will, too.